This book is basically a dictionary of words we often associate with the paranormal. 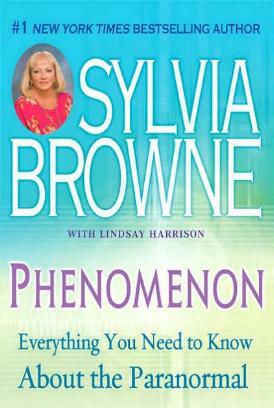 Of course Sylvia Browne has either had experience with or she's researched each and every word, and we're assured there's nothing to be frightened of. Personally, I think much of what we "know" about the paranormal was inflicted upon us through movies, children's stories, television shows, and the media. Entertainment, that's all. So, if you need clarification of what a lot of paranormal words mean, you can enjoy these definitions and descriptions. Remember, Sylvia's words are God-centered, and therefore not to be feared. She also relates stories to help interpret (or clarify) some words, which always helps us better grasp or relate to what she is saying. Explanations of words such as banshee, Akashic Records, the Dark Side, coincidence, Armageddon, Dé jà Vu, Fairies, Near-Death Experience, Soulmates, Omens, White Light, and many more. I firmly believe in possibilities. For instance, that there are aliens (too much already said and seen (and hidden from us) makes it more than possible), that there is more to the universe (again, too much hidden from us), and that we can save ourselves and our planet through sheer goodness. All of this I feel to be so, and by reading Sylvia Browne, I don't feel as though I'm the oddball I've been perceived to be. Conclusion - Very enlightening and very worthwhile.